← Virtual Prayer for Pope Benedict Project. How you can help. QUAERITUR: Nitwit priest changes the words of absolution. Wherein Fr. Z really rants. Friend, I am so sorry you had this experience. Please don’t let it put you off going to confession. 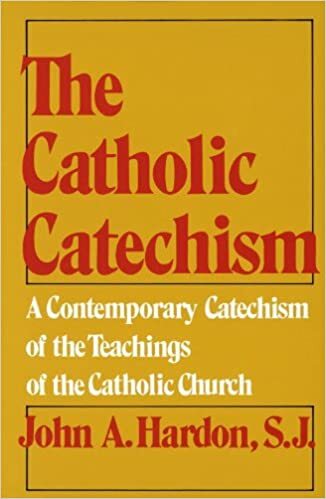 I am not the Congregation for the Doctrine of the Faith, which is the dicastery that makes determinations about the validity of sacraments. That said, I suspect that the absolution was valid. I suspect your sins were forgiven. If you are not sure, go to confession again, explain what happened, and confession your sins, preferably to a different priest. This entry was posted in "How To..." - Practical Notes, ASK FATHER Question Box, Biased Media Coverage, Wherein Fr. Z Rants and tagged reconciliation, sacrament of penance, words of absolution. Bookmark the permalink. 55 Responses to QUAERITUR: Nitwit priest changes the words of absolution. Wherein Fr. Z really rants. “See the red and think the black” — That is a fact! Well said! Thank you, Father! I was at a Mass tonight that was so badly ad libbed that the congregation didn’t know how to respond or what was coming next. I truly believe this is a direct result of saying Mass versus populum. [And the use of the vernacular.] Priests (and bishops) wouldn’t be so tempted to ad lib if they said Mass ad orientem. It also might be a result of face-to-face confession as well. The pastor of my old parish was big into “I forgive you(insert name) of the many sins you have committed..” After I learned the real words, I started going to the Vicar instead for confessions and later followed the Bishops offer to join the EF community over my territorial parish. I truly believe this is a direct result of saying Mass versus populum. Priests (and bishops) wouldn’t be so tempted to ad lib if they said Mass ad orientem. I believe that doing away with the presidential thrones and going back to sedilia would also help. TNCath , may I ask if you are in the Diocese of Memphis? Oy, TNCath, I used to live there. What parish? Everything in the diocese still as it was? I would assume that because ego te absolvo was stated, it was valid, but it certainly was illicit. Liberalism, liberalism, liberalism….it just is not becoming…. Maybe it’s a result of the EZ-chair, recliner, 14’x14′ confession rooms. Well…. it is tough to pay attention, like, you know, when you’re fiddling with your IPOD and some bugger comes along and buggers you about some lame thing like that state of his immortal soul. Oh, I’m sure of you’re right; indeed, I suppose that most of them think they are helping. It’s just that they are so doggone sure that they have a better idea, a more helpful idea, than the immemorial tradition of the Holy Roman Church. I have a theory, courtesy of one famous Archbishop. He provided the answer in his tome called The Reform of the Liturgy. The rites are to be simplified. There is a need for nearly constant education as to the form and meaning of the sacraments. They should be easily within the powers of comprehension of the CLERGY! Sheep aren’t that stupid, you know? Very tired of condescending, ecclesial snobbery. Just do your vocation and everyone’s happy. The priesthood is a strange thing. He is in persona Christi performing the sacraments- so he might be feeling a bit prideful (and prone to thinking he can fiddle with the Church’s words), Jesus being the King of all creation. BUT Jesus was so humble as to become man that lucifer refused to serve- that’s pretty humble. Perhaps if priests kept the humility of Jesus in mind they would be less likely to ‘innovate’. I totally agree. I’m not sure priests ought to be copping the attitude that we’re all dumb sheep anymore. A fair proportion of them can’t even seem to read their own books right. In the watered-down vernacular, yet. Ahem. Today @ Mass a visiting Jesuit said “When You Do This, Remember Me” during consecration of the precious blood. WHY!? I am thankful for his priesthood and service to the Lord…but… its not very respectful of his bride. As a matter of practicality I used to Confess at the church of my upbringing, the priest [Msgr] was so laid back, I was tempted to conjure-up some horrendous sin in order to see his reaction. Now I am forced to indulge in either a 3 or 5 hour bus journey to Confess as my parish priest gives every appearance of not being Catholic, at least as far as REal Presence, Pope and Magisterium are concerned. I am shortly to move to a city where I can attend proper Masses [ef or of] and have acces to such matters as Confession, Stations of the Cross, et al. I am surprised when I read that people are worried by a change of words in the absolution as I have to admit that I am always so nervous before Confession, and relieved after, that I honestly don’t take in the exact words! Except on one occasion a couple of years ago when the Priest asked me whether I would like to receive the absolution in Latin to which had no hesitation in replying ‘Oh Yes Please!’ That was a beautiful moment . However as my Parish Priest definitely says the black I can be certain of the correct words even if I don’t take them in at the time. How sad that others cannot. This is not the first time, Father, you have had to reassure a penitent in these columns and I am sure your advice is sound. I remember at least on one occasion there was some variance in Confession when the priest had obviously dropped his “crib sheet” and ad libbed until he picked it up again, but I didn’t feel the sacrament was invalid. I didn’t feel it my place as a penitent to take him (an elderly and experienced priest) to task. I cannot help wondering to what extent intention overwrites error (if it was just an error words). For example what about mispronouncing a word or omitting a word or mumbling? Heaven knows this was done enough in Latin pronunciation where an ending to a word could easily make nonsense of the formula but this would not be the intention. I feel the onus in such cases has to rest with the priest and not on the shoulders of a nervous pentitent to cause him scruples, unless of course the change was completely bizarre or absolution was entirely omitted or something else very obvious. But perhaps Canon law sees it differently. I don’t know. The same thing happened to my wife during Christmas. Her usual confessor was shipped out town to cover another parish. Rather than using the proper words the priest left my wife distressed as to whether her sins had indeed been forgiven. Perhaps as was noted above the priest “is just trying to be helpful”, yet just the opposite occurs. I expect that if these same priests realized the distress they caused, and how unpastoral it is, they might change their ways. The French formula of absolution is “je vous pardonne vos péchés”, which is a bad translation I think but officially approved so valid. Since the priest here used a formula which is identical in meaning, there seems to me no doubt that the absolution in question is valid, tho’ illicit – so the only person involved who needs to go to confession about it is the priest himself! What I find upsetting is that it takes courage to go to confession in the first place. Then to go and not be sure it’s valid seems very frustrating to me. I understand that “liking” is not the criterion for liturgical correctness, and when priests ad-lib during Mass, I shudder. But in this case, when the meaning is identical, isn’t it self-evident that the confession is valid, regardless of whether one “likes” the form of words used? I feel your pain Fr. But pride is one of those sins that blinds, such that they can’t/won’t see that what they do is sinful. I’m afraid my confidence in some bishops would not exceed the confidence I’d have in that ad-libbing priest. I agree 200% Father. I’ve been to confession with a priest who changes the words of absolution, basically because he doesn’t like the official formula. That’s what he told me, in the confessional, when I was practically begging him to say the words of absolution. Even if a priest has weak faith, he should know that this sort of thing can have a deep psychological impact on a person. Even if he chooses to bracket the spiritual impact, and refuses to acknowledge that he’s toying with a person’s soul, this is the sort of thing that can send someone into depression. WHY DO PRIESTS DO THIS? No matter how you cut it, botching this sacrament in any way is highly irresponsible. Thank you, Fr Z, for being concerned for us. Things like this are real issues for the laity, even though, I think, they’re not even on many priest’s radar. And a fair number of priests really don’t care if they’re issues for us, they get tired of doing things the right way and get careless. So we can get ridiculed for wanting things done the way the church says they’re supposed to be done because confession is a serious thing. So we appreciate the fact you see how we feel and what our concerns are. Thanks. Bingo. I feel this way too. And I don’t make a big note of the words the priest uses, simply because I feel that I have done my part when I confess, I’ve done the best I can. If the priest can’t get his stuff together, he can answer to God for that and also for my sins he can’t manage to absolve because he’s goofing off. Yes, if he can’t get the words right, that’s exactly what he’s doing–GOOFING OFF. The book is right there in front of him if he wants it and HE CAN READ. Period. You know, by way of explanation, this is similar to questions about whether a mass was valid or not. I try to find the “cleanest” mass to attend that I can, just like I try to find the most careful confessor I can. That’s my job. But once there, if the words are changed a bit, but the consecration is essentially intact, I don’t like it, but I don’t freak out. The intention of the church is that the consecration take place during the mass, which is a vital idea to remember. These little things are the fault of the priest and he is responsible for them and will answer for them eventually as a condition of his salvation. I do get upset if the whole thing is a travesty, but that’s only happened just once in my experience. I believe it’s actually very rare, and when such a thing happens, that is the the priest’s fault too. After all, he’s responsible for that mass in the parish. A layperson has to make the call as to when to participate or not, if it’s really crazy. Like I say, it’s only happened to me once. The rest of the time, when things are irregular, it falls into the first class. Confession is similar. As a penitent, I do my best to get the sacrament properly. If the priest can’t get the words right, or insists on visiting, or tells me something off-color or stupid, I just take it in my stride. It’s his fault, not mine. I prompt him to give me absolution and then get out of the confessional. Done. If the priest is goofy, indolent or disobedient, he can explain it to God at the last judgment as far as I am concerned. I would not hesitate to walk out of the confessional on a priest if he was really warped. There are many holy priests, but there are some really warped ones [VERY FEW. And most of those DON’T bother hearing confessions. They are VERY RARE. No one should hesitate to go to confession.] and to be avoided like a rat carrying the black plague. In the diocese in which I am, I have often experienced, “I absolve you of all your sins” (emphasis in original), but have assumed it valid but illicit. Right now my biggest concern is figuring out whether the Consecration of the wine used at the last several Sunday Masses I attended is valid. The institution narrative employed is definitely illicit. I’m waffling on going to a different Mass today. Thank you, Fr, for the clarification. I agree, they are very, very rare, and should never stop anyone from going to confession, because you can always just walk out. And the aberration is ALWAYS the priest’s fault when this happens, if you go in there with the proper intentions. He will answer to God for it by and by, and you should walk away if it happens to you. Really Father the letter you composed, was the humor intended, I almost laughed out loud, such eloquent snark. To Fr Z’s point, I don’t have a problem with the formula for absolution being said in the Latin. It’s rather a comfort, because the effort to screw up the Latin is more than the effort it would take to screw up the English. Therefore, it’s less likely to happen. Besides, as I said before, after I’ve done my part the priest does his by absolving. If he can’t get that right, it’s not my fault. It’s his fault, and God is looking, particularly since Confession is a sacrament. He will pay for his nonsense in the end, and I don’t think I have to worry how God disciplines his staff. Priests probably should worry, especially some of the goofier ones, but I don’t. I had something like this happen a few years ago; the priest in a church I was visiting said, “… may you be absolved of your sins….” In this phrasing, the priest was not using his authority in persona Christi to effect the absolution. Essentially everyone I asked said that this formulation was not only illicit, but invalid. Actually, after saying my penance, I went back to the priest and told him I was troubled about the formulation he had used. He became very defensive, and he told me this is the way he had said it for years. On those grounds I later wrote a letter to his bishop, telling him what had happened but not the identity of the priest or parish, and encouraging him to take advantage of the scandalous baptismal formula that had recently come to light in Brisbane, Australia to emphasize the need for using the approved wording for sacraments. That way the guilty priest would know it referred to him, but to everyone else it would appear to be just a normal point of teaching. Unsurprisingly, I never heard back from the bishop. When I heard an strangely worded absolution given in English to me I froze not knowing if this was “close enough” or not, if I should speak up or not. Since the elderly priest was really kind and seemed holy and was a good confessor, I feared to offend him by asking him to redo it with correct words. I did not want to give him the impression that I thought he had done wrong, and I was so confused I did not even know if it WAS wrong. So I was stuck with 2 awful alternative: either leave in doubt, or offend this kind priest. I did not know what to do, but without reflection I heard myself saying: “Father?… I prefer absolution in Latin.” He said with sincere regret, “I do not know it in Latin.” So, I was stuck again, wondering if I needed to speak up AGAIN but this time tell him specifically what was wrong and maybe really offend him. As I was pondering my awkward predicament he must have found a card or something on his side, as to my immense relief I suddenly heard him saying the absolution perfectly in Latin! I think priests are less tempted to mess with the formula when it is Latin… [Indeed. Priests who use Latin usually are the Say The Black Do The Red types… and it is hard for most to ad lib. I know a few who could, but most can’t.] in the vernacular it is really easy to rephrase it in an attempt to express it more “meaningfully”. A priest won’t likely try rephrasing something in Latin on the spur of the moment… it is a lot harder, and takes more deliberation and intention. Giving absolution in Latin maybe a way a priest can combat the temptation to adlib. Besides, AFTER giving the Latin absolution, priests can always add something in English like, “Go in peace, your sins are forgiven”. That is always helpful to hear, too. How horrible for a person who was in a state of mortal sin to be in fear that his absolution wasn’t valid! This is why I try my best to go to a “baby priest.” Father hasn’t been ordained for even a year, he reads the order of confession straight from the book every time to make sure he performs the rite correctly. Dr. Eric: Be sure to thank the priest before you get out of the confessional. Also, make a point sometime to express to him that you are glad he follows the book and doesn’t make anything up. I’m looking forward to the time when they can, but won’t. Funny how those priests who use the longer absolution formula (“May the Passion of Our Lord Jesus Christ, the merits of the Blessed Virgin Mary and of all the Saints, what good you have done or what evil you have suffered be to you for the remission of your sins, growth in grace and the reward of everlasting life. Amen.”) rarely get the words wrong. It’s usually those who try to get away with the bare minimum who get it wrong. I think the above words are some of the most beautiful given to us by Holy Church. Post-script to my comment of 23 January 2011 at 11:35 am: I went to it, and Father went back to EP III (from what had seemed like the Swiss Synod Prayer(s) for the last few weeks) and said the black, the whole black, and just the black. Been there, done that, not pretty. Perhaps the only scarier thing is hearing of the occasional bishop playing with priestly ordinations. Thank-you thank-you thank-you for posting this question. I also went to confession Saturday night to confess a mortal sin, and my regular confessor had been called away so a visiting priest was there. After telling me that the Church’s teachings were really guidelines in this area and to just be really sorry when I commit sin, he said “I forgive you” instead of absolve. I wasn’t sure what to do as this has never happened before so I just stumbled out of the confessional. Then I received our Lord at mass on Sunday and I’ve been so afraid that a) I received when in a state of mortal sin, therefore adding more mortal sin and b) was still in a state of mortal sin. So reading this post this morning lifts a huge weight off me. Thank-you thank-you thank-you! I have a question that runs on a similar thread to this post. Is it normal to no longer be asked for an Act of Contrition? Every time I go to confession at my home parish I get rushed out of the confessional before I can say one and I’ve never been able to get a straight answer on whether or not that is acceptable. I have a friend who was told by a priest, “I forgive you, ” and responded, “I appreciate that, Father, but I would like you to use the correct formulation, please.” The priest complied cheerfully, but said that he used the informal styling to make people feel “more comfortable.” This made me laugh. Absolution doesn’t make me feel “comfortable:” it make me feel marvelous. I always thank the priest after confession. Except that one time. With regard to an Act of Contrition: when I don’t go to my regular confessor, I get asked for an Act of Contrition about 75% of the time. When I’m not asked, I always say one anyway when I leave the confessional. While contrition itself is required for a valid confession, I’m not sure if an Act of Contrition is. I’ll be interested to hear what others say. . .
Fr. Z and priest readers: I have read a few posts like this here and always found them a little — well, amusing is not the right word. Generally, they seemed to me to be worrying about nothing, perhaps being a little too scrupulous. Until it happened to me. A few weeks ago, the pastor of the parish I have attended for more than a decade said something that he ALWAYS says at mass, and suddenly it occurred to me — not only was the word not correct, but it changed the meaning of what it was supposed to say. Was it valid? I was pretty sure it was but — my goodness, what if it wasn’t? He says this every single time! If that made the consecration invalid, then I have been going to invalid masses for years! Again, I was pretty sure I knew which words were essential but this was awfully close to them. I just could not get over worrying about this until I managed to ask a priest who (unlike my pastor) is an expert on liturgy. Please, priests: Even if you are the kind of person who is pretty casual about things, SAY THE RIGHT WORDS. It is not right that anyone should have to worry even for a few minutes that a sacrament is not valid. If you must fiddle with something or be casual about words, save it for the non-essential parts of the sacrament! @PghCath: When I am not asked for one during the confession itself I start my penance with one just to be on the safe side. I have always felt that a little paranoia over the state of one’s soul is a good thing. I am not a scrupulous person by nature. But the SACRAMENTS are just not something you mess with. I was so angry and distressed that this priest would put my eternal soul in jeopardy, and for what!? Now, I know, God is merciful. But again, it just was not worth it. Please, please, don’t screw with my head like that! Anyway I just went to another confessor and said “I would like to receive absolution for a confession that I made last week” “I absolve you in the name of…” and Amen. If there was a “Like” feature here on your blog, Fr. Z, I would be clicking it right now. My question is: When a priest gets sloppy and innovative in celebrating the Sacrament of Reconciliation, what role does intention play in this regard and the Church supplying for what might be lacking in terms of the proper form? For a Penitent who has come with every intention of repenting for his or her sins and has confessed them fully and properly with an expression of contrition, assuming that the priest does not begin reciting the poetry of William McGonagall for the purpose of absolution (which might be better prescribed as a penance) but rather offers a prayer of forgiveness which comes close to the Church’s liturgical text and also fully intends to do what the Church does, should the penitent not leave the Confession with the assurance that the Church has supplied for whatever is minimally lacking in the prayer of the priest? I ask this not to excuse the practice, but wondering if it might be some consolation to those who are concerned about their own previous confessions. The penitent should leave the confessional knowing that they have done their part. But if they leave in righteous anger because they have once again confronted a priest who doesn’t take his vocation seriously, then they are justified. There are too many priests who don’t seem to believe what they get paid for. If the penitent feels uneasy anyway, they have every right in the world to turn right back around and get the priest to do it right, and get him to stop horsing around. If people are doing this and it makes them feel better, then so be it. These comments made me so happy. The first is about the gratitude we need feel and to express to others (priests), and the second gives me hope. What more could we need to make it in this world today?